The Samson cruiser, women’s-specific e-MTB Bulls Aminga and the Harley-Davidson Livewire. Same technology at nearly half the price! What’s new from our Northern neighbor? 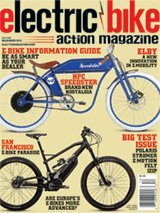 Win a STACYC bike for your kid!